I've cooked a lot of stuff in my day. My kitchen has seen just about everything you could imagine. But nothing I've ever cooked has smelled as good as the big ol’ skillet of onions I caramelized this weekend. 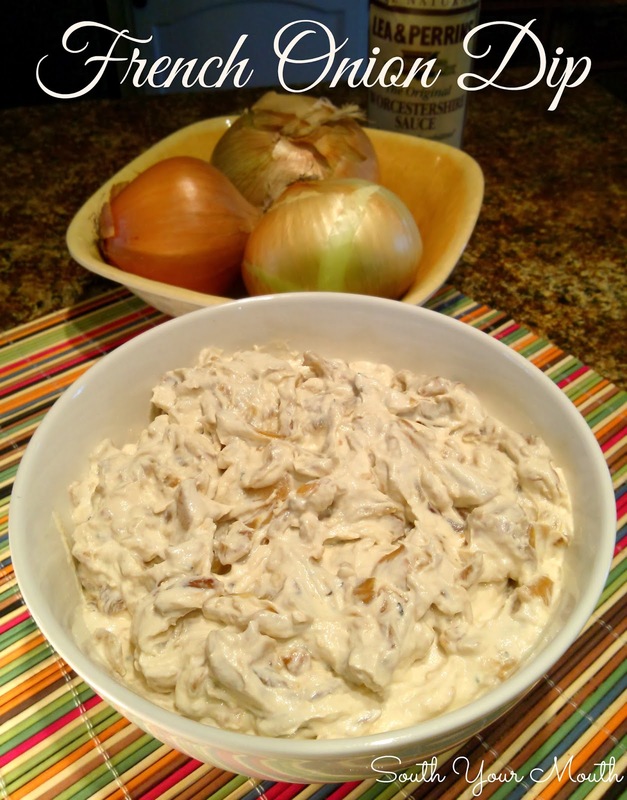 And now that I've made this from scratch, I will never, ever, never buy French onion dip again. This was so easy and so incredibly delicious! I can’t wait to make it again! Peel and chop onions (I left mine rather chunky, the biggest pieces being about 1/2" wide and about 1” long). Add chopped onions, butter, vegetable oil, salt and sugar to a large skillet and cook, uncovered, over medium heat for 20 minutes; stirring occasionally. Add worcestershire, thyme and garlic and continue cooking over medium heat for about 20 minutes longer or until onions are caramelized and deep golden brown in color. Remove from heat and cool to room temperature. In a medium-sized bowl, combine sour cream and caramelized onions and mix well. Cover and refrigerate until ready to serve. Serve with crackers, chips, pretzels and/or chopped fresh vegetables. *I used onions that were about 4” in diameter. Definitely making this for the next party we go to! I'm not making until we can share it, cuz I know I would eat it all by myself if I had the opportunity! Just wondering if you have tried freezing the onion mix so that you have a snack on hand?